Jaden is the son of Jada Pinkett Smith and has an older half-brother, Trey, and a younger sister, Willow. Jaden attended New Village Leadership Academy before being homeschooled by his parents. Smith and his siblings are youth ambassadors for Project Zambi, which provides help for Zambian orphans. 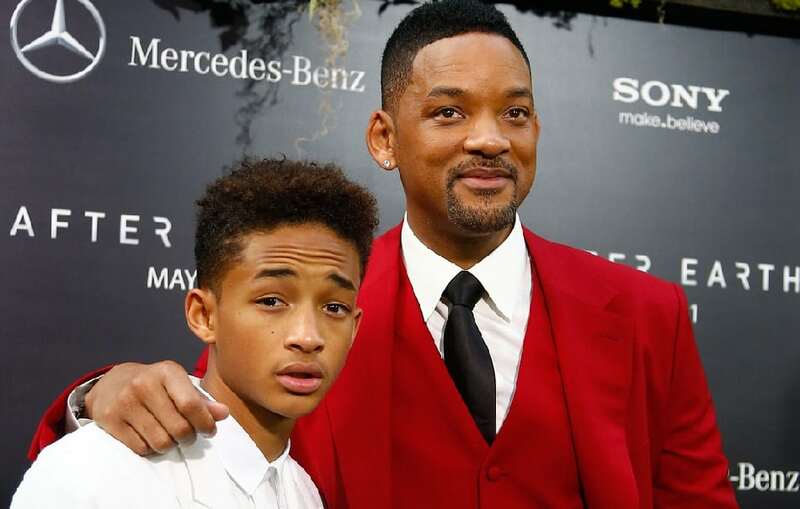 At 19, Jaden is already a younger copy of his famous dad, Grammy-winner, Will Smith. Jaden is an accomplished actor, rapper, and songwriter. Jaden Smith‘s first movie role was with his father in the 2006 film “The Pursuit of Happyness” (as seen above). He also acted in “The Day the Earth Stood Still”, “The Karate Kid” and “After Earth”.